The 2010 season at the ‘bowl saw a few changes in the Saturday divisions. The Late Models, long suffering as the division with the worst car counts, were put onto a limited schedule, racing more bi-weekly than weekly. When they were off, the Truck division, which ran on both Wednesday and Saturdays in 2009, became the 6th point division on Saturday. The SK Modifieds, Street Stocks and Mini Stocks ran weekly while the Late Models, Truck and Legends Cars ran limited Saturday schedules. 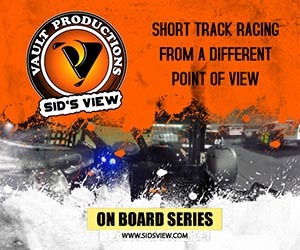 The Mini Stock and Street Stock events were officially increased to 25 laps for the first full season. The Budweiser Modified Nationals, featuring the $5,000 SK 150 event was moved to the Finale event instead of the traditional season-opener it had been since it’s inception back in 1997. 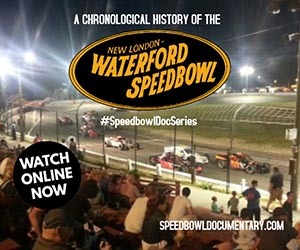 Ironically, the Blast Off event, which had been the opening event for 25 years before the Bud Nationals, returned in honor of the Speedbowl’s 60th season as a 60-lap SK event. The Finale event, in addition to the Mod Nationals, featured the 100-lap season-ending event for the ACT Late Model tour. 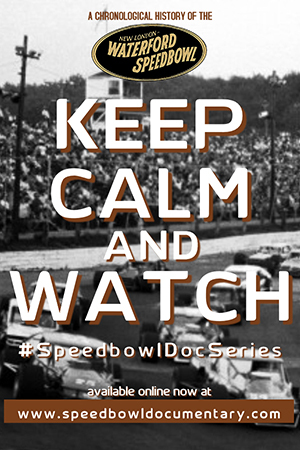 The regular NWAAS divisions’ events during the Finale would be non-point events for the first time since 1994. In the SK Modified division, Keith Rocco, who went into the previous 2 years’ Finale events with a chance to win the Speedbowl title only to come up short both times, finally won his 1st SK Modified Championship. This time, he did so in dominant fashion winning a record 10 features in the season breaking Dennis Gada’s 11-year old mark (9 wins in 1999). Behind Mike and Mark Pane’s #57, Keith led the points from wire-to-wire after winning the first 2 races and 5 of the first 6 events. He won the season opening 60 lap Blast Off event and set fast time & led every lap of the SK 100 portion of the Mid-Season 300 in July. 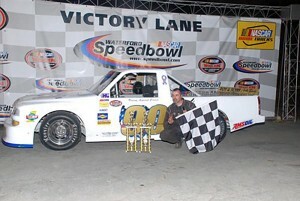 With 2 wins in the truck division as well (driving Scott Gregory’s #94 machine), Keith ended up with 12 overall feature wins at the Speedbowl in 2010. 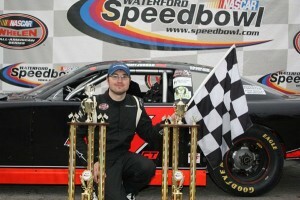 Rocco also won the the NASCAR Whelen All-American Series National Championship when his 10th victory at the Speedbowl on Aug 14th clinched the title. 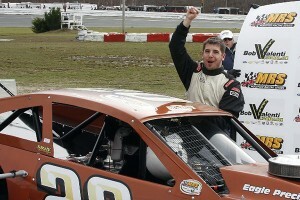 It was his 20th win between the 3 CT tracks, 18 of which earned the maximum points possible under NWAAS rules. He joined Ted Christopher (2001) as the only Connecticut-based drivers to win the NWAAS title. Rocco also joined Christopher as the only drivers to win an SK Championship at all 3 Connecticut tracks during their career. In the season ending 150 lapper, Rocco (the Waterford & Stafford Champ) and Christopher (the Thompson Champ) battled for the lead most of the race, but Ron Yuhas Jr pitted for tires around the halfway mark, and took the lead from them with less than 10 laps to go to earn his second straight Budweiser Modified Nationals event. Ted Christopher tied Kenny Horton’s SK time trial record lap-time of 14.061 during qualifying. Yuhas, Jeff Pearl and Tyler Chadwick were second behind Rocco during the season with 3 wins apiece. In the Late Models, it was Tim Jordan who rebounded from a disasterous 2009 campaign to win his 2nd Late Model Championship in 5 years. Jordan and Bruce Thomas Jr continued to be the class of the field (each winning 4 times to lead the division and each winning one of the two 50-lap events), but many drivers improved including Jeff Smith, Brian Andronaco Jr, Jeffrey Paul and Rich Staskowski who all earned their first career victory in the division during 2010. 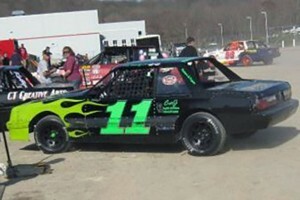 The ACT Tour visited twice with many Speedbowl regulars competiting in the events. Joey Polewarczyk won both events, while Jeff Smith’s 5th place finish in the Nutmeg State 100 in August was the best finish amongst the hometrack drivers. The Street Stock division continued to be highly competitive with 8 different winners throughout the season. Ed Puleo won the 2 long-distance point events (a 30 lapper during Blast Off weekend & a 50 lapper during the Mid-Season 300, the latter of which Puleo also set fast time during the division’s only time trials of the season). It was Walt Hovey Jr however, who had the point lead from the 2nd week on by consistenlty finishing in the Top 5. 2008 Champion Al Stone III stayed in the title hunt by winning 4 features in a row late in the season. Going into the final point race, he was 13 points (or 7 positions on the track) behind Hovey. Stone was the first to avoid disaster in the race when he spun out battling for 3rd on the second lap. But later it was Hovey who got together with Norm Sears on the backstretch and then made contact with several other cars as he went around turns 3 & 4 – the resulting damage ended his night officially finishing 17th. Stone would go on to finish 7th and clinch his second title in surprising fashion. 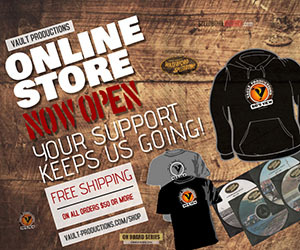 He won the non-points Finale event for his 7th win of the season, Puleo had 6 wins and Hovey with 3 victories. Fellow competitor Kevin Talbot lent his #74 to both Stone and Hovey during different parts of the season so they could remain in the points race after problems plagued their primary cars. Talbot would earn Sportsman of the Year honors at the season-ending banquet for his generousity to both title contenders. One of the fiercest rivalries at the Speedbowl was in full effect during the 2010 Mini Stock season as 3-time champ Danny Field and 2-time champ Ken Cassidy Jr were once again battling for the division title. Field started the year in record-breaking fashion as he became the 2nd driver to win 3 straight MS races (Bruce Thomas Sr – 1997) and the first to do so to start a season. Cassidy, Sean Caron and Chris Williams were in the title hunt during the summer, but by late August Cassidy was the only contender within striking distance of Field. With 3 point races left, the Sept 18th event saw Cassidy and Field battling intensely for 7th place during a race that had no cautions up to that point. With 2 laps to go, they made contact out of turn 2, then as they came around turn 3, Field ran Cassidy into the armco barrier destroying the Cassidy’s #11 car and disqualifying Field from the event, and in essence crushing his title hopes as well. He was suspended for 1 week and chose not to return for the rest of the season. Cassidy returned to win the last point event and the non-point Finale MS Open event to lead the division in wins (6) and win his 3rd Mini Stock Championship. 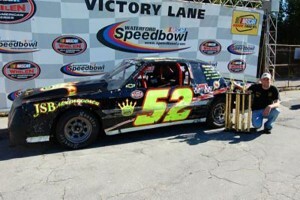 Sean Caron won 3 times, including the MS 50 lap portion of the Mid-Season 300 in which he also set fast time. Veteran Louie Bellisle III won 4 times. 2009 Legend Car Champ Jason Palmer sold his car to Anthony Flannery during the off-season, and Flannery went on to similar dominant success that Palmer had the previous season. Flannery won 20 races overall, including a record 13 consecutive between both Wednesday & Saturday series. He won the first 8 straight Wednesday events – a record for a single point division – until he broke it later in the season with 10 straight in the Saturday division. 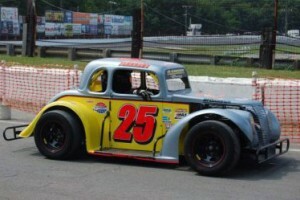 He set fast time for the Legends during the Mid-Season 300 and won the 50 lap INEX National qualifier race in August. Max Zachem, Giovanni Giarranta and Dana DiMatteo each won a Saturday event, while Flannery won the rest. He won 10 of the 15 events on Wednesday and joined Jags and Jason Palmer as drivers to win both the Wednesday and Saturday Legend Car titles during the same season. Allen Coates was once again the Truck division champion – his second straight and 6th overall at the Speedbowl joining Dennis Gada (7), Phil Rondeau (6) and Bob Potter (6) as the only drivers with 6 titles. Coates also won 10 races making him the 4th driver to accumulate 80 feature wins at the track. Other feature winners included Howard Payne (2), Keith Rocco (2) and Allen’s 15 year-old son Corey Coates. However, the truck division declined in car counts and during the off-season, the division was eliminated from the 2011 schedule after only 2 seasons. The Wild N’ Wacky Wednesday series enjoyed it’s 10th season with decent crowds once again for the mid week series. Champions other than Anthony Flannery in the Legend Cars were Dan D’Addario beating out Glen Thomas Jr in the X-cars and Charles Beal in the Super X-cars. Richard “Bubby” Brouwer became the first 2-time X-Modified Champion in track history. Taylor Martin won the Bandoleros championship and became the track’s first non-W.O.W. female track champion. Kathy Civardi was crowned the Women on Wheels X-car champion while Kristie Hamel took W.O.W. Super-X car honors. (Dave Meredith photo)[/caption]The 3rd annual Wings N’ Wheels event was once again a success. Chris deRitis (NEMA), Chris Perley (ISMA) and Steve Masse (VMRS) were the touring feature winners. The night began with Keith Rocco’s NWAAS National Title clinching win in the SK Modified event. Doug Coby won the VMRS 100 lapper during Blast Off weekend, becoming the first driver to win 2 VMRS events at the Speedbowl, while Jon McKennedy won the Thunder on the Sound MRS 100 during Labor Day weekend. Mike Lichty won his first career ISMA event during a 50 lapper in May. Chris Leonard and Russ Stoehr (2) won the 3 other NEMA events. The Pro4 Modifieds made only one appearance in 2010 when Norm Wrenn won the Blast Off event – his record 5th Pro-4 win at the Speedbowl. The Allison Legacy North Series returned for 4 events with James Logan (2), Anthony Frissora and Nick Sweet taking the victories and Wayne Coury Jr won the Outlaw Stock race during Finale Weekend in his familiar #10 Late Model for the second year in a row. 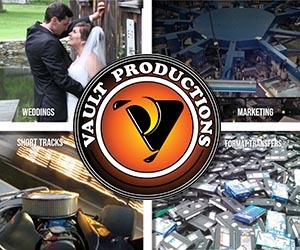 Here is an excerpt from our 2010 Year in Review video presented at the annual Speedbowl banquet.